Paul writes in these passages about maturity and goals for the believers, the finished work of Christ in our lives, and not being satisfied with pablum, but desiring meat. He writes of wanting answers to hard questions, of wanting the Holy Spirit to lead into true spiritual warfare, and being counted amongst the righteous. “Having laid hold of that for which also I was laid hold of by Christ Jesus,” being counted as worthy, and of wanting spiritual victory in his life. Hebrews 9.13-14 All the pageantry, traditions, incense, symbolism, of the temple era of Judaism, which was merely a shadow of the reality in heaven, could not compare to the fulfillment accomplished by Jesus the Messiah. The source so far outshines the reflection, it is amazing by contrast, for we truly serve a living God, it is spiritual reality. Last week I blogged about my experience scaffolding, and Craig Randolph commented about that experience, about how I was probably “shaking in my boots” in my first experience with great height. Yes, I was. Having never been more than about 30 feet in the air, my first scaffolding job, in 1977 was quite the eye opener. Eventually finding yourself more than 200 feet above ground, where the slightest breeze seems like a gail force wind, and the work of yourself and others causes the scaffold to shake. It is constantly moving, swaying, wiggling, shaking, and it takes some getting used to. After time in the air you develop your sea legs and become used to that unrelenting movement. Rookies are not too welcome up there, in essence you have to be invited by the “flyers” to join them on top, as they have observed you on lower structures. The rookies are too unpredictable, nervous, in the way, and often get the “shakes,” and have to be coaxed down, a huge waste of time. Honestly, only tried and tested veterans are welcome on the really high work. We want only seasoned men whom we can trust, who have proven themselves worthy to be with us. I really don’t know how many of you readers can relate to my stories and experiences, but I see a relativity between spiritual maturity, and these experiences on the job, and I write this not as new truth but as a way of reminder to all of us. Are you training yourself for spiritual warfare through study of the scripture, prayer, and communion with God, and are you pressing on to maturity? Do you pray for the Holy Spirit to bring people into your life daily that need spiritual help and truth? Do you desire daily to walk with God and be led by the Holy Spirit, to hear His voice, and be able to respond spiritually to those He has brought into your path? Are you prepared in your spiritual life to be invited to join the “flyers”? It’s time to be on top where the air is clear and you can see forever, where life really means something, and eternity is at stake. Let us press on to maturity. I started following the political process when I was 10 years old The first election I followed was in 1952: Stevenson and Ike. During this election year some things come to mind from scripture. I will not discuss specific candidates (you don’t talk about politics and religion)!! What comes to mind is from Proverbs 2:6-8 and Psalm 67. “For the Lord gives wisdom, knowledge and understanding. He guards the course of the just and protects the way of the faithful ones.” “May God be gracious to (our country) and bless us and make his face shine on us. May the nations be glad and sing for joy and guide the nations of the earth”. First, I apologize for the tardy posting. I just don’t know where time goes, lately. Now that I’m older and wiser…with age comes wisdom…(s)he’s a wise, old soul… Sayings about wisdom that we hear and accept to be true. But does being older make one wiser? In studying our lectionary readings for today, I was compelled to notice two points that scripture makes: God grants wisdom, not years on the plantet; and the Holy Spirit speaks to those who are listening and directs and leads them. If we listen to the words of God, if we seek to understand Him and listen with our hearts and minds open to Him, he grants wisdom. When we have been given wisdom, we can better hear and sense the leading of the Holy Spirit in our lives, like Paul and Timothy did when “the Holy Spirit had prevented them from preaching in Asia at that time,” Acts 16:6. My prayer is that God will grant me HIS wisdom and my steps with be guided by the leading of the Holy Spirit. This Leviticus passage is of interest in that the LORD is instituting what amounts to a welfare program for the less fortunate among the nation Israel. The services are not instituted through a government agency, rather through those who can afford to be generous, out of humanitarian concern. Although, it can be argued that this was a government program, as were all other human activities, because Israel functioned as a theocracy at this time. In this Leviticus scenario it is humans that help humans. This is certainly a more humane way of dealing with this welfare business compared to an impersonal government agency mailing checks. In my opinion, there were two big losers in LBJ’s “Great Society.” The first were the recipients and givers of the help itself; the “personal touch” was removed from the process of welfare distribution by government agencies. The second were churches, who prior institutionalized welfare were the primary locals people turned to who needed help. I submit that those needy are not only in need of money, they have other needs that the government can’t attend to, these require something that only their fellow human can provide – a kind word, prayer, etc. And so, government is now the place; the needy turn to them rather than towards God’s help by way of His churches, as was done for thousands of years. Finally, the last verse (v. 18) this “you shall love your neighbor as yourself…” is cited by both Jesus (Matt. 22:39) and Paul (Gal. 5:14). What does it mean to love one’s neighbor in our modern world? We all grow weary at times. Although we would like to think that we will always be at the peaks of life, there are also always going to be valleys. If we think that our own doing will get us back to those peaks, we only fool ourselves. I like this passage from Isaiah, which reminds us that our strength comes from God, not from our own will-power. Even the young, who are so strong and full of energy. Even the most physically fit people. All of us grow weary. But if we put our faith in God above, he will lift us up with wings like eagles! One of the likely eagle species from the middle eastern region of the world is the golden eagle, seen in the image above. No different than the bald eagles we so love here in the U.S., the golden eagle is a powerful bird of prey. It is majestic in flight, and with its great wingspan, seems to so easily ride the air currents above. Large birds of prey, with their great wingspan, can glide for hours without hardly having to flap their wings as they ride on the thermal currents of the air, which helps them conserve energy while they hunt for their prey, so they won’t grow weary. In the same way, God will easily lift us up so we can soar above and not grow weary. We can ride the currents of life if we only rely on our strength from God, who will give us rest and we won’t grow weary. My prayer this morning is that we all seek God to find rest and strength, not only for today, but every day. This week I was in a small group with a few other guys talking about what it means to have a story to tell. Our lives are more than a glimpse through the memory of time. I really believe that. What would happen if these words would be the credo of our life? 5 Love God, your God, with your whole heart: love him with all that’s in you, love him with all you’ve got!6-9 Write these commandments that I’ve given you today on your hearts. Get them inside of you and then get them inside your children. Talk about them wherever you are, sitting at home or walking in the street; talk about them from the time you get up in the morning to when you fall into bed at night. Tie them on your hands and foreheads as a reminder; inscribe them on the doorposts of your homes and on your city gates. How would your life change, if the your focus would move from the now and the present to the generations to come and what that means in the big God’s picture? What would you do different? What what would that story look like? I pray that we can all be brave to look to the tomorrow, and be strong and courages in telling that story of our lives, a story that comes from the heart of God for the eternity to come. Rules and regulations…can’t live with them – can’t live without them. Just a few more laws and all will be better right? Sometimes, I think that is all some live for. Unfortunately, there are no amount of rules possible to ensure absolute peace or total security. Rules cannot guarantee love of God or neighbor. If I were to ask you why you go to a Protestant church would you know why? 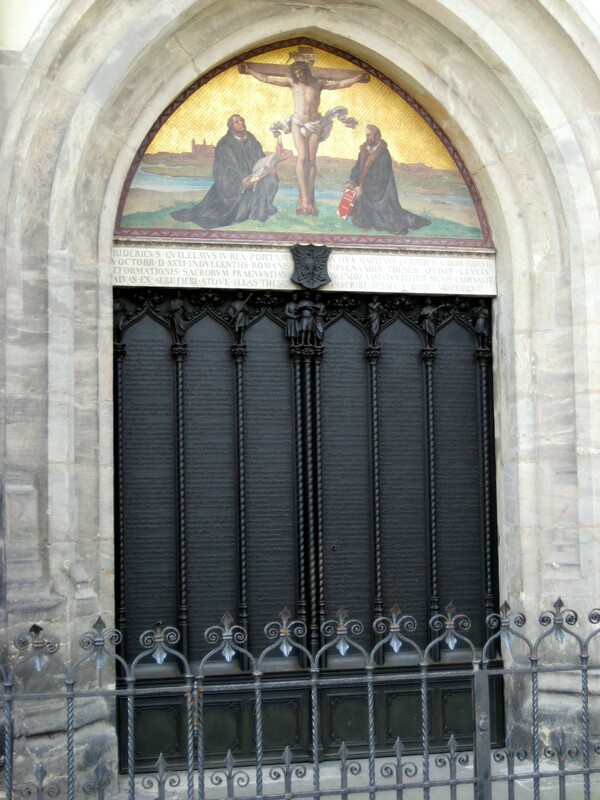 During the Reformation, early 16th century – attributed primarily to Martin Luther’s posting of his 95 Theses on the door of the Wittenberg Church, the Reformers, Luther in particular, were pushing back on the practice of the church selling indulgences (absolution for souls in purgatory by paying for a papal pardon) rather than a true transformation of heart and God’s grace regarding forgiveness of sins. The Reformation was founded on grace and not the law. This didn’t mean that the law was unimportant…it just meant that God’s grace was not something one could buy or control. I really like John Calvin’s “Threefold Use of the Law” in order to show the importance of the law for the Christian life where the first purpose of the law is like a mirror. Mirrors are very telling – Calvin was saying that the law of God both reflects and mirrors God’s perfection…and, in so doing shows us our own imperfections. The second purpose talks about restraining evil. By itself, the law, cannot change human hearts, rather, the law serves the purpose of restraining sin and promoting righteousness. Coupled with the laws of the land, it serves to secure civl order and to curb those who have no regard for any law. The last use of the law for Calvin was to show what was pleasing to God. More importantly, the Christian is free from the law as a system of salvation. And this is where today’s passage comes in…Paul publicly challenged Peter because he was being a hypocrite. Paul was saying that Peter knew better – that no rules or regulations can do what Jesus did for us. While the law is important as Calvin said, grace is what matters. 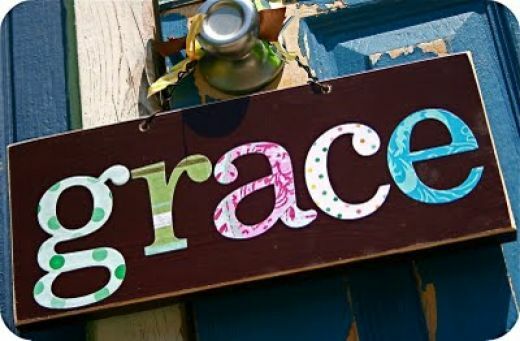 It’s easy to rely on rules and regulations – they are usually concrete…”do this and do that”…grace is entirely different…so let’s hang a sign, “GRACE welcomed here”, on our church doors, the doors of our homes and the doors of our hearts so that all will see…because, grace is a miracle!! That first Easter Season Jesus appears to the disciples to reassure them he is alive and active in their lives and in the world. He urges and nudges them to trust in him, live out his teachings, and go into the world for he lives in them. Throughout his ministry, as here in Chapter 6 of Luke, Jesus taught his disciples to put his teachings into practice. May you live close to Jesus this day and always that you may let him live through you wherever you go and in whatever you do. 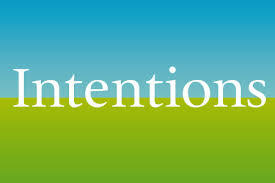 May his intentions come to life through you. How Much Do You Trust God? The epitome of grace is found in 2 Cor. 5.21 where we are told that God the Father made “Him who knew no sin to be sin so that we could become the righteousness of God in Him.” This is known as the doctrine of imputation. God’s righteousness is imputed to us who believe in Him, Jesus Christ our savior. This is undeserved favor bestowed upon all who believe. It’s unfair, it’s grace. So what? What does it mean to us that our sins are gone, that we are new creatures, that we are born again, that we have a heavenly hope, etc.? A head knowledge of facts about anything is pretty useless if, in fact, we don’t really believe it, or use it. Having worked on scaffolding projects over the years puts the concept of faith or trust into practice when it comes down to life and death .Trusting things like scaffolding stages, ( long aluminum planks) that may be as long 30 feet long and 16 inches wide. To trust it will hold your weight, that it won’t slide, or twist is easy when it is 6 feet above ground, but it is another story when it is being lifted by a crane 100 feet in the air and used as a bridge between two towers of scaffolding. A man on each tower locates the stage to it’s position, ties it down, and then one man walks to the center to remove the cranes cable so that work can continue. Trust comes into reality at that height. You trust that the stage won’t fail, your fellow worker has positioned it properly, tied it off securely, the scaffolding itself will hold, you won’t loose balance, the wind won’t pick up, and the crane operator will respond to your signals. This is one of the rare times where we have no place to secure our safety harness. A head knowledge is not enough up there, you have to be absolutely sure that all of the engineering put into these temporary structures is correct, tested and tried. You put your life on the line with your fellow workers who have been trained as well as you, and no foolishness is allowed. It is serious business.